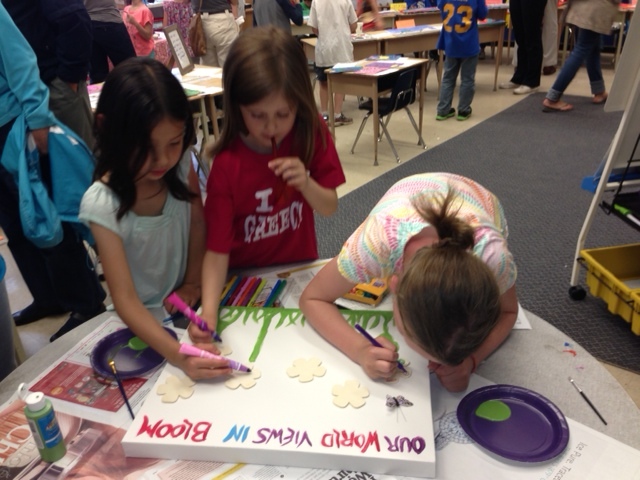 Pictured above: Grade 3 students at Whitney Public School collaborate on a piece of artwork for their class art auction fundraiser in Toronto. What can my school support? We love speaking to students and inspiring young minds. Approach your school Principal or Vice Principal to see if there is a speaking opportunity. We deliver tailored presentations consisting of our personal story, history and programs that are 30-40 minutes in length. We can speak to most ages although we suggest an audience of Grade 3 and above. Our talks are offered at no cost to your school. Educators provide structure, support and inspiration to help turn thoughts and ideas into action! Consider a unique classroom project that combines curriculum, expanding world views and fundraising to inspire compassion, understanding and a sense of responsibility in your students. Check out our 7 step how-to guide to create ‘An Afternoon of Art and Giving’! Bake / food sales - Food is the easiest way to a person’s heart. Book a table in a spot where you’ll get a lot of foot traffic and sell during a busy time of day. Have many different people bring in baked goods so you have a great variety of products! Video game/movie day - A tried, tested and true fundraiser! Let students pay money to play video games or watch a movie. This can be done at lunch time or after school. A great addition is to have food sales at the movie! Market day - Ask students, teachers and community members to bring in old toys, gently used clothing, or books and sell everything for a cheap price. You can also include booths for students to sell handmade jewelry, food, cupcakes, etc. Monkey suit – This is one that will have your students in stitches! Assign a jar to any and all good-humoured teachers (who are willing to participate). Whoever’s jar is the most full of change at the end of the designated time will have the honour of wearing a monkey suit for an entire day! Coin drive – Coin drive are one of the most effective school fundraising campaigns! Challenge classrooms to a coin drive and see who can fill their jar the quickest! Kenya Fun Day - Hold a Kenya Fun Day at your school with food, art and games. We can send you art and ideas! Hold a series of fundraisers in your classroom over the course of the school year with a goal to raise a total of $1200 to sponsor an HHFL child. 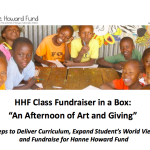 To kick off this effort, we will provide a fostering certificate to post in your classroom and as you raise funds, your students can spend the school year communicating via e-mail and Skype with your HHFL child to help make a direct connection and encourage cross-cultural learning. Most schools hold organized special events and fairs throughout the calendar year. Why not use this as an opportunity to sell HHF’s gift cards? Or ask if a portion of sale proceeds can be directed to HHF? You’ll never know if you don’t ask!